A super cheap way to get into VR gaming. Windows Mixed Reality headsets are the best way to get into VR gaming without spending a fortune. They work with most SteamVR titles, they don't require external sensors, and they have higher-resolution screens than the HTC Vive and Oculus Rift. Lenovo's headset dropped to $200 a few days ago, but now you can get headsets from Lenovo and Acer for just $170 on Microsoft's eBay store. 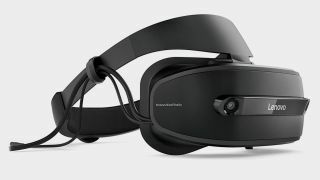 The Lenovo Explorer and Acer Headset have identical specifications: two 90Hz 1440x1440 LCD screens (one for each eye), a 105-degree FOV, and a built-in headphone jack. Motion controllers are included as well. Since the hardware is identical, it really just comes down to which one you think looks the best.